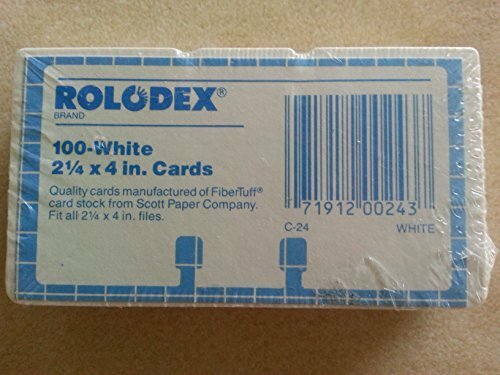 Authentic and original Rolodex 100 White 3x5 inch Cards. Authentic Rolodex 3 x 5 cards. C-35. Laser/Ink Jet Rotary Cards. Heavyweight card stock sheets feed automatically from paper tray. Ultra-fine perforations allow cards to be separated cleanly and easily. It's easy to Just Click & Create(TM) your cards with Avery(R) Templates in over 100 popular software programs. 3x5 inch precision die-cut cards. 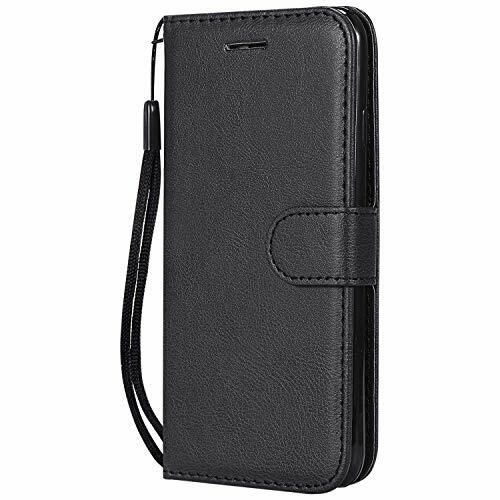 Designed to fit all major brand rotary card file holders. Pack of 100. 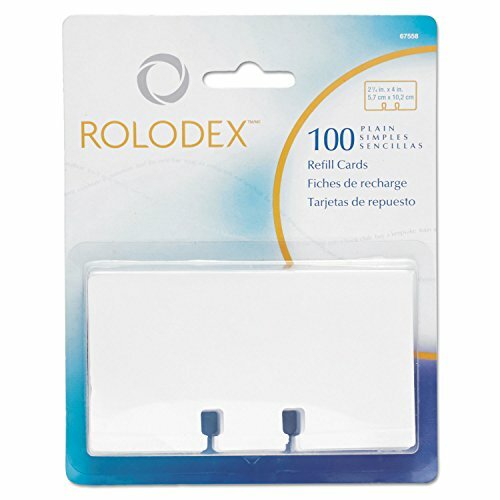 Authentic Rolodex 3"x5" replacement cards. Made by Rolodex, various packaging -- some strip sealed, some shrinkwrapped with labeling, but all authentic Rolodex, packaged and produced by Rolodex. MADE ONLY BY ROLODEX! NO homemade knockoffs or counterfeits. GUARANTEED TO WORK IN ALL 3" X 5" ROLODEX SYSTEMS! Called "WHITE" by Rolodex, are closer to ivory or off-white. Brand new. 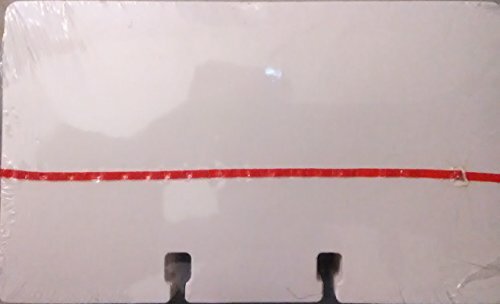 Package of 100, strip sealed or shrinkwraped. White / Ivory / off-white. Work in all 3x5 Rolodex file systems. Authentic, made by Rolodex, very hard to find. Flip through, open style offers easy viewing. Includes cards and A-Z guides for a quick start to content management. Black. VIP black plastic open tray card file includes cards and A-Z guides. Includes cards and A-Z guides. 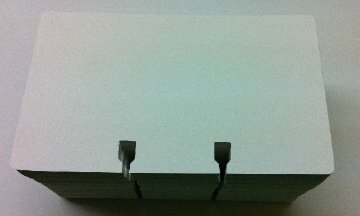 Printable heavyweight card stock sheets feed automatically from paper tray. Plus, the thick card stock delivers a professional appearance and stands up to frequent use in card files. Ultra-fine perforations allow cards to be separated cleanly and easily. 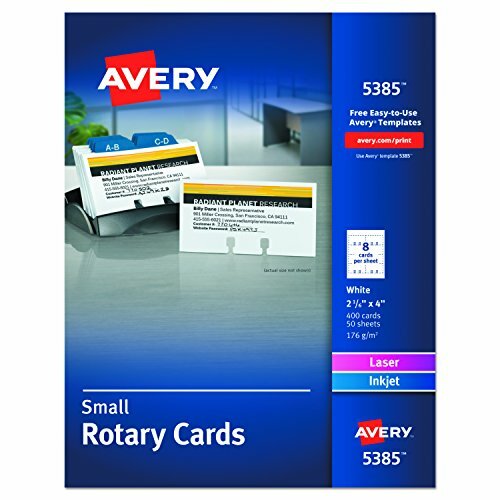 Avery offers many easy-to-use design and print solutions for cards. See product package for details. 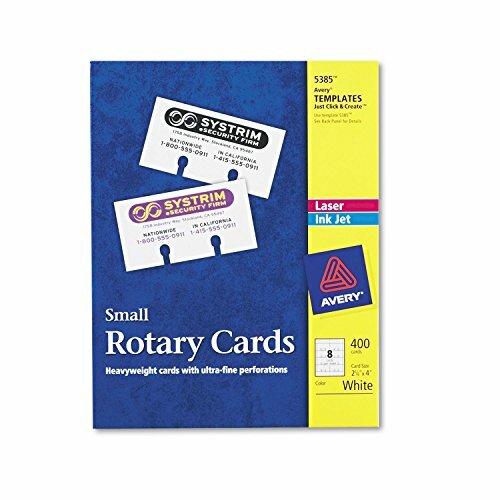 Card File Refills Type: Printable Card Sheets Card Size H x W: 2amp;quot; x 4amp;quot; Ruling: Unruled Machine Compatibility: Inkjet/Laser. 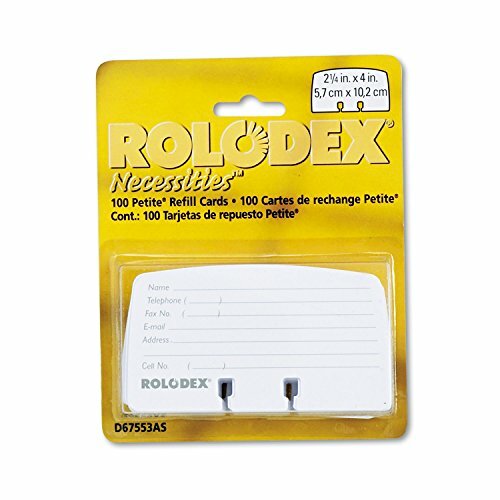 Original Strip-sealed Rolodex 3x5 replacment cards. Brand new, Pristine. 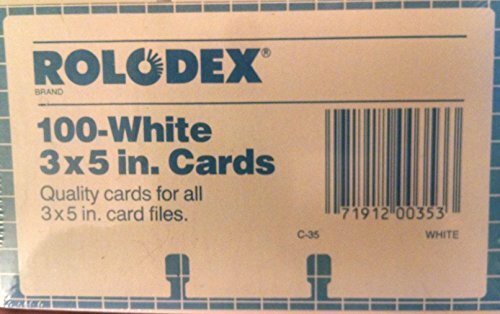 AUTHENTIC Rolodex cards, sealed by Rolodex in original packing. Original Rolodex quality paper stock. 100 unlined, white cards. C-35. Guaranteed to fit in ALL 3x5 Rolodex file systems. 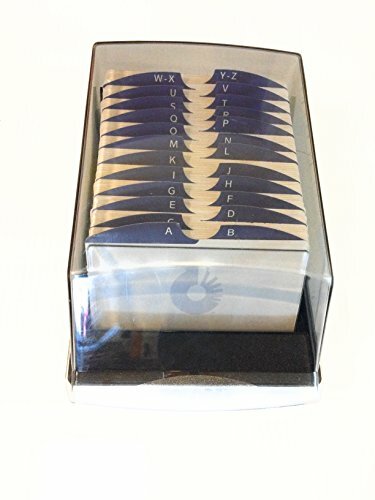 THESE ARE AUTHENTIC ROLODEX CARDS, not home-made knockoffs. Famous Rolodex paper stock. Long-lasting and tough. 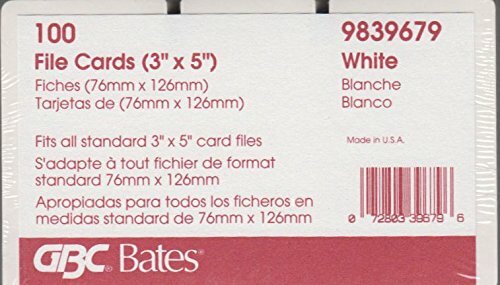 GBC Bates 3x5 Replacement Cards for Rolodex. White, unruled. 3x5. Pack of 100. 3" x 5" Rolodex replacement cards, made by GBC Bates. Same quality. Unruled. Guaranteed to work in all 3x5 Rolodex systems. White, unlined.These are sealed from the manufacturer. Rotary cards. These are authentic company-made cards for all Rolodex 3x5 systems. These are not home-made copies. 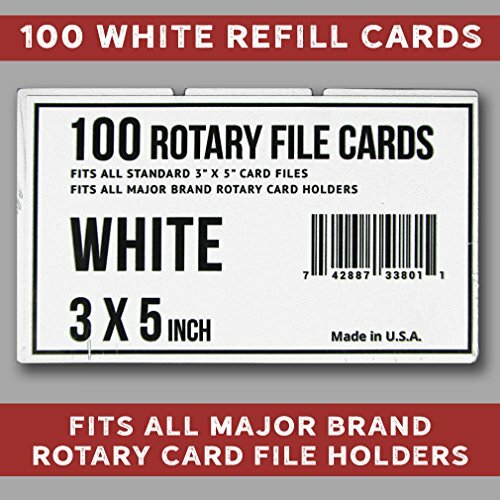 Rolodex Authentic and Original 3x5 Replacement cards. Unlined. Pack of 100. CANARY YELLOW. 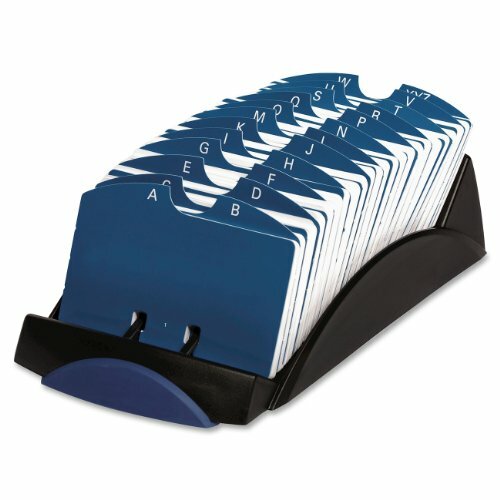 Fitsl all 3" X 5" Rolodex files. 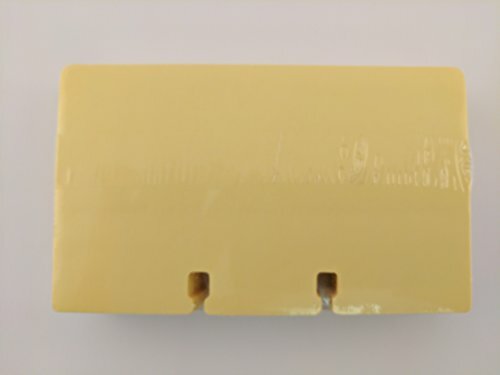 Authentic and original YELLOW Rolodex cards (Canary). Pack of 100, unlined. Original Rolodex replacement cards. Sealed and unopened in original Rolodex packaging. THESE ARE NOT HOME-MADE KNOCKOFFS! Authentic Rolodex, will work in any 3x5 Rolodex file. 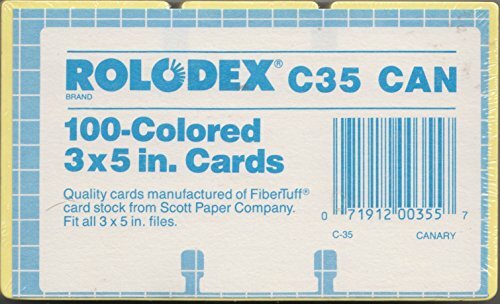 Rolodex VIP-35C Covered VIP File Complete with 500 3" x 5" cards (unruled). Covered VIP file, includes 500 new cards, A-Z index tabs. Notched to fit Petite card files. 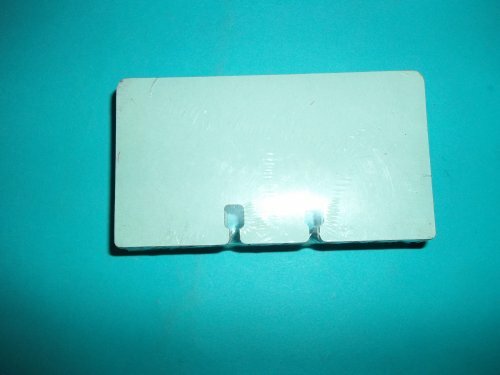 Spaced lines for name, telephone and fax numbers, and other important contact information Card File Refills Type: Petite Tray Ruled Cards Card Size H x W: 2 1/4amp;quot; x 4amp;quot; Ruling: Ruled Card Color: White. Genuine Authentic Bates Product. 100 Cards Per Pack.